A picture can speak a thousand words...but no picture can do this White LED Starlit Dance Floor it's due justice! Colorado Event Productions offers White LED Starlight Dance Floor - the perfect addition to any event! What if you could get this dance floor for a similar price as a wooden dance floor? Even better! 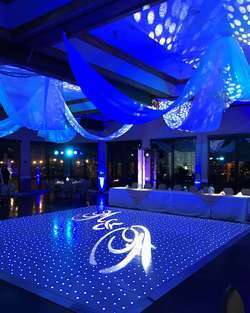 This White LED Starlit Dance Floor is elegant, fun and amazing! Your guests will love dancing on top of this dance floor! Weddings, Corporate Parties, School Dances, Private Events and more will LOVE this LED Starlit Dance Floor! Contact us for more details or ask about our LED Runway Floor options. Need some DIMENSION in your life? OK, maybe not in your life, but definitely at your party!! Try our LED Lighted Dance Stages / Platforms! Add to your LED Starlit Dance Floor or by themselves, these 4'X4' platforms are 18" high (stage height) and can be used individually or linked together in ANY SHAPE (square or rectangular to include a dance floor) you choose! 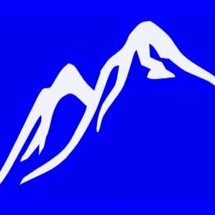 Color controlled or the lighting will "move" to the music! Contact us for more details! We can think of many themes these are used for!